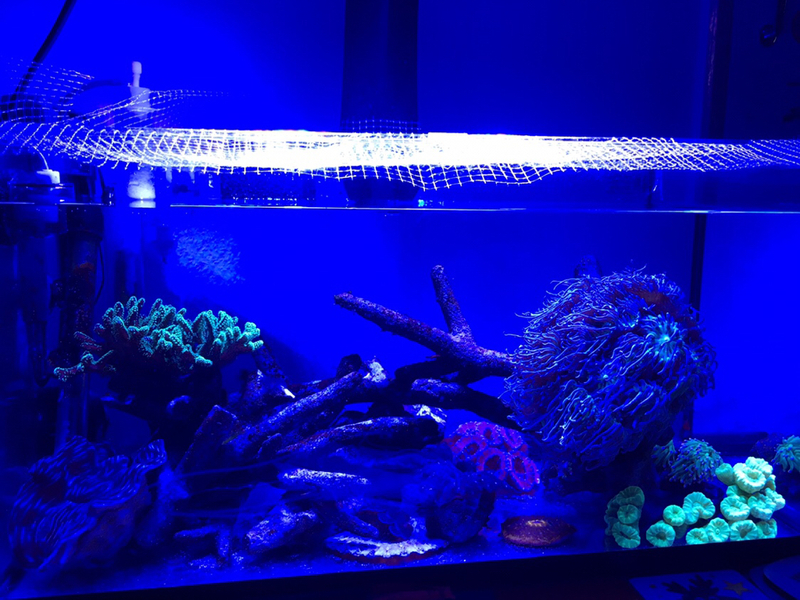 for the marine substrate, i have used carribea live sand and life rock and dose with Dr Tim's one and only one and only nitrifying bacteria and their ammonia solution. The water parameter is fine as it is gotten from mixed straight from the store. currently into day 4 and testing with royal nature ammonia guide. is this a right indiction/result? if not, what can i do to achieve the correct result to complete the cycle and introduce the fishes in? Can we have some pictures of your tank? Specifically your rock work. I ask this because I’m not sure if it was actual live rock (in water) when you purchased it or if it was life rock (dry)? Secondly, you’ve used live sand. Did you pre rinse it before you put it into your tank? The ammonia reading you’ve got is high, providing you didn’t make any errors during the test it suggests the tank it cycling. As you are using dr Tim’s you need to follow the instructions on the bottle to a t.
To be honest, looking at the test results your tank just need time for beneficial bacteria to grow and settle the ammonia & Nitrite to 0. Then you can add the fish. Are you testing for NitrIte & NitrAte yet? Well done for resisting temptation and not adding fish right away. thanks for the info. your tank look great. reason to start with nano is due to space constraint as well. Not a test kit I'm familiar with, nor does there appear to be much in the way of reviews online. I'd get that result checked at the lfs, and potentially invest in different test kits if you're kit is far off the mark. Not sure why you'd have that much ammonia if you've added the bacteria in a bottle to reduce ammonia (in the right quantities that is). That doesn't look like liverock - are there loads of holes in it? Liverock (or the fake equivalents) is very porous, and it's that massive surface area deep in the rock that builds denitrifying bacteria needed for a marine tank. in that case, if i re-dose the bacteria solution or add in the second round of bacteria solution, would that help it lower the ammonia level down? My Nitrite reading is still 0 while my nitrate has about 10ppm reading now. i used that as a substitute for live rocks and the reviews ain't bad. Yes, adding more should help reduce the ammonia. Ah, then that rock is fine. Always hard to tell in photos. thanks for the advice. should take that approach first and see if it will improve. ohhh the other rock is called bacto rock. similar function as life rock i guess. there is some cycling happening im guessing? but the results are kinda uncertain. The bacto rock is pictured in freshwater tanks, and doesn't mention salt water. 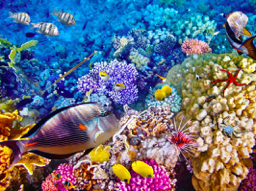 Did you check it's ok for marine tanks? The bacteria in salt water is different to freshwater, so it could be an issue with the seeded bacteria dying and causing a spike? Just a theory. I did not check on the compatibility of the bacto rock for marine. i assume that since it's 'fake', it can be used to grow/nurture the bacteria. now that you highlighted that, it does seem to be more applicable to Freshwater. Fishless Cycle - age old question - How long? Cycling done and ready to go?? ?